Inspired by the historical groves of oranges and lemons that once grew in Southern California, Citrust Insurance was founded in 2013 to provide California residents with assistance enrolling in the Affordable Care Act (Obamacare)'s health insurance exchange, which leads the nation in providing major medical insurance to thousands of people who were previously unable to obtain healthcare. 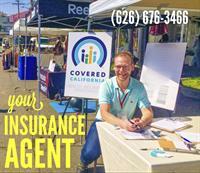 Jonathan is a Certified Covered California Insurance Agent and helps individuals and business to figure out the complicated tax credits, income requirements, and Third-Party Payor programs (under the Ryan White Act) that assist people & businesses to pay for mandatory coverage. - We'll review all of your options to find financial assistance to pay for your coverage. - We'll discuss your health and needs to find a plan that you can actually use to maintain your health and be in your best condition! - We'll cut through all the dizzying options and variables to make a solid recommendation so that you can find clarity and confidence about your health plan. - If you're looking for PrEP, we can also recommend plans, specific doctors, and pharmaceutical assistance programs that will allow you to obtain medication that will be 100% covered by your insurance policy. Phone consultations, no appointment needed. Call 626-765-4495.